It has been a great school year and I look forward to the exciting things the 2017-2018 school year will bring (especially the new Science lab). 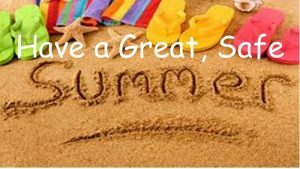 I hope you all have a wonderful summer. Attached below are the summer assignments for the incoming 6th, 7th & 8th grade students. Click on the 6th Grade Homework page to get your Summer Homework assignments.